Football/Soccer Session (Moderate): SAC Columbus Day - SAC Utd Gold vs Tri-County Fusion black - Oct 7th, 2017. Vincent will sub for Jelani at the #6 spot. Be super aware of defending in numbers down situations or in situations when players are attacking us at speed. DROP & RECOVER, DROP & RECOVER!!! Can we be super patient in our defending, not diving in/jabbing at the ball? Good 1 v 1 defending. Can we back our teammates up by providing cover in defensive situations? Work together to force the ball out wide or negative and force mistakes in the attacking team. DO NOT JAB AT A BALL THAT YOU ARE NOT 10000% GUARANTEED TO WIN!! 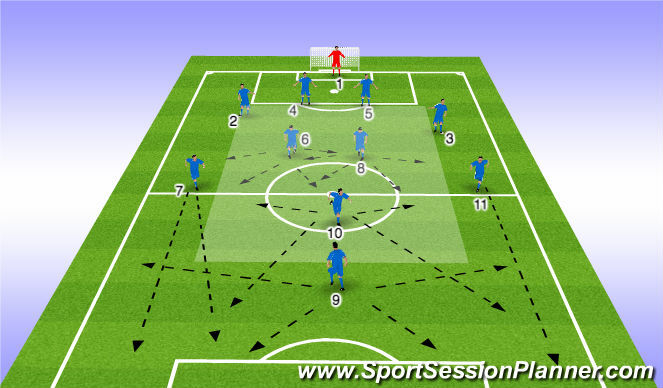 This also helps us stay connected to our midfielders/attackers when we win possession and push the ball forward. OUR SAFE ZONE AND THE AREA WE ARE TRYING TO PROTECT AT ALL COSTS IS THE CENTRAL AREA IN THE DEFENSIVE AND MIDDLE THIRD OF THE FIELD. * DO NOT allow any balls through the back line centrally....make everything go wide! ORGANIZED QUICKLY ON SET PIECES - organization must happen quickly !!! This is especially true on throw ins when we must transition and respond defensively IMMEDIATELY!!! *Ask the question: can they score from there?? *Punch aerial balls in the box whenever possible! 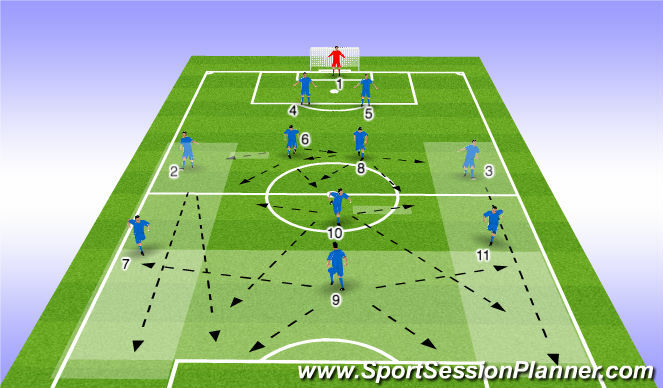 1) GET THE BALL OUT WIDE TO SPREAD THEIR DEFENSE AND CREATE SPACE BACK IN THE MIDDLE! 3) FOCUS ON THE ACCURACY OF OUR PASSING!!!!!! Our priorities come straight from our most recent training sessions (quality first touch, open up our hips/open our body shape, receive the ball across the body on the back/further foot, movement to create support angles, release the ball early, etc). *The work of our #6 & #8 (central midfielders) is essential in our ability to play out from the back. *CAN WE CREATE GOOD SUPPORT ANGLES FOR PASSING ALL THE TIME!! *CAN WE ENSURE THE ACCURACY OF OUR PASSING? 1) AVOID DRIBBLING OR PASSING INTO NUMBERS DOWN SITUATIONS!! 2) ACCURACY OF PASSING IN THE ATTACKING THIRD OF THE FIELD. FOCUSED ATTENTION TO DETAIL!! * Must be alert for long balls if our attempts to play out from the back are high pressed or defended. *Vary our runs, vary our passes in advanced areas, vary our speed, vary the number of support players, vary central vs. wide passes, etc. *Keep your head up and avoid running into dead corners where defenders have the advantage. *Use the ball safely and retain possession when faced with numbers down situations in the attacking third. As with our midfielders, can we get the ball out wide early and then play from there. Take advantage of the space in wide areas or come back central after the defense has shifted, switch the ball to the other side of the field. SET PIECES - Things to remember!! -Possess on Free kicks anywhere further than 35 yds. Look to get the ball moving as quickly as possible but avoiding playing into pressure.